Loan Gowers is a Wealth Advisor with BMO Nesbitt Burns with over 25 years experience in the industry. She focuses on helping individual and their family with their wealth management and advisory service needs. When you speak with Loan, she will take an in depth look at your goals and what matters to you most to develop a personalized strategy that's right for you. For more information or to discuss how we can help you, please contact Loan Gowers about our custom-tailored, holistic wealth management strategies that evolves as your needs changes. Jeremy is an insurance expert. Life insurance, critical illness insurance, disability insurance and annuities are the products that his clients benefit from. His industry designations and continual education allow him to have a deep level of understanding of the tax, investment and business implications of insurance strategies. He ensures clients have the right products with the right ownership structures to maximize and protect their family wealth. 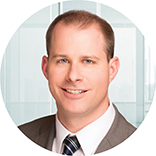 Beginning his career in the insurance industry in 2005 after completing his MBA at Dalhousie University, Jeremy’s education is on-going. He holds the major industry designations of Certified Health Insurance Specialist, Certified Financial Planner and Chartered Life Underwriter. Jeremy and his wife Karine are busy parents with two young boys. Rare free time is consumed with golf, fly fishing and basketball.